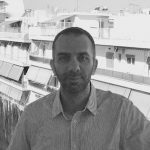 Dimitris graduated from the Hellenic Naval Academy and has worked aboard various types of war ships as Second and Chief Engineer. Before joining IYC, Dimitris also worked in a Naval repair facility. He holds Certificates of Attendance from the Hellenic and Kapodistrian University of Athens in ISM Code, Maritime Management, Port State Control Inspections and Maritime Strategy, Claims and Operations.